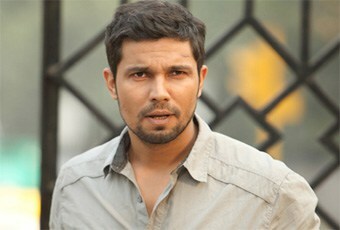 It’s fair to say that Randeep Hooda is going from strength to strength. He has proved his acting ability time and time again, and it hasn’t gone unnoticed, according to reports stating that he has received a special award from Australia. For those unknown to Hooda’a background, the actor had actually studied in Australia. Having established himself within the Indian film industry, as reported by��NDTV, the��South Asian Public Affairs Council (SAPAC) in Melbourne, presented the award to Hooda for his great achievements in the industry, during his visit there. In fact, by picking up the accent during his time there, Hooda managed to bag his first role in Mira Nair’s ‘Monsoon Wedding’ (2001) where he played an NRI from Australia. Hooda’s next release will be Omung Kumar’s ‘Sarbjit’, where Hooda will be representing Sarbjit Singh who was jailed for accidentally��crossing the India-Pakistan border, and being accused of being a spy. The film will see actress Aishwarya Rai Bahchan playing his sister, who tried to fight for his freedom.